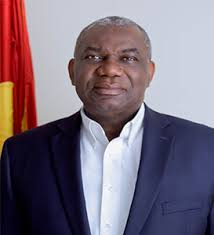 Minister for Energy, Boakye Agyarko, is hopeful that within the next 18months, 50 megawatts of solar power will be added to the national grid to augment country’s energy delivery. The Bui Power Authority, he said, has completed its switch yard to evacuate the full additional 250 megawatt to come online. Mr. Agyarko explained that government is playing a facilitating role with the construction of the solar system, since the project is entirely an ENI project. “It is an ENI project; government is only facilitating the construction of the solar system where it will deliver power, it is just like any other independent power producer; it is not a cost to government,” he stressed. Government has a target to have renewable energy constituting 10 percent of the country’s generation mix by 2020. There is also a plan to have government institutions supplementing their energy source with solar power. Presently, less than 1% of electricity consumed locally is from renewable energy sources, a situation some players in the industry find worrying. Parliament has already ratified a framework Agreement on the Establishment of the International Solar Alliance (ISA). This means Ghana has already joined some 121 countries to access US$2 billion from the Indian government towards making renewable energy a reliable alternative to the more expensive sources of energy on the continent. With this ratification, government hopes to expedite the integration of renewable energy in the sources for electricity among its institutions and agencies, including Junior and Senior High Schools. Over the next five years, there would be significant increase of PV energy in the power mix for the country. Signing the agreement, Luca Consentino, Executive Vice President ENI, Milan-Italy, assured government of the firm’s commitment to deliver world class solar power to help augment the country’s energy. ENI, an Italian international petroleum company, has been in Ghana since 2009. The government is in a US$7bn contract with the company to produce oil and gas at Cape Three Points. Even though the company is involved in the exploration of oil and gas, Mr Consentino indicated that his outfit is interested in renewable energy because “we believe that renewable energy is the future”. For that reason, he said, it was collaborating with the government to realise its long-term strategy of integrating traditional businesses with renewable energy sources.